Click on the picture to get a better look. Just leave a comment and Random.org will choose who I mail them to tomorrow at 9 a.m. - LOTS of Pantene coupons in this batch! 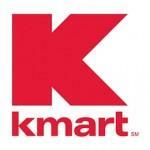 Kmart is having a doubling event starting today! Using the TWO $2/1 Parade Mag 6/27 coupons above you'll get 2 bottles of Pantene for FREE! For a full list of Kmart's Match-ups go here. You can use them at Rite Aid! = $1.50 for 2 plus get $2 +Up Reward for next shopping trip! ME ME I WANT THESE. I'd like these! Thanks so much!